We have real Thai food with Thai staff at THAI ERAWAN. Off the elevator, and our Thai staffs welcome you as if you entered Thailand! The restaurant is decorated in Thai interior with Thai satellite TV. Our Thai cooks are highly-confident with what they make by using original Thai ingredients. Thai dishes have a unique blend of mixing sweet, spicy, acidic, and salty flavors. A taste you will definitely enjoy! 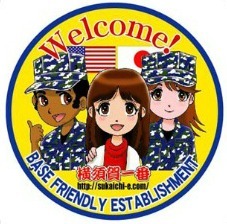 With the U.S. navy base in Yokosuka, many of our customers are from abroad! Majority of our customers come through word of mouth or bring friends along. Our staffs speak English and also have English menus available! Spicy coconut curry with meat, bamboo shoots, and basil seasoning making it a rich taste! Why not relax in a settled space? The cubicle room is decorated with an elephant, which in Thai symbolizes happiness. There's also a traditional Thai statue on both sides (as shown). Please come and have a nice time as if you are in Thailand!